Product #882 | SKU Z-LH | 0.0 (no ratings yet) Thanks for your rating! 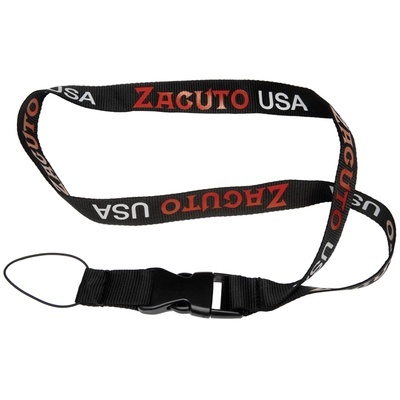 The Zacuto lanyard and lanyard hook are for the Zacuto Z-Finder, dslr optical viewfinder. The lanyard hook screws into the side (left or right) of the Z-Finder and allows you to attach the lanyard on. The lanyard is used as a security measure when shooting handheld to assure that the Z-Finder doesn't hit the ground when it gets bumped. Also, the lanyard is nice for when you want to take the Z-Finder off and on quickly.